Contact us with any questions or to schedule a rental. The Resort offers a variety of accommodations for your comfort. 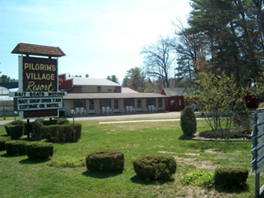 We have twelve cozy cottages, three private cottages, one lakefront house and seven motel rooms. Located on the East shore of Lake Mitchell, the resort has a private beach and swimming area, along with 4 docks for our guests. The Fishing Shop offers from basic sinkers and hooks to tackle for the more advanced fishermen. 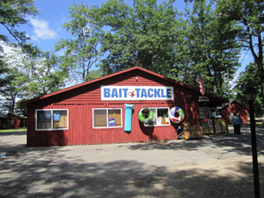 The Fishing Shop is open daily at 7:00 A.M. Our knowledgeable staff can help you with information to catch more fish. At the Pilgrim Village we can supply everything but the fish. 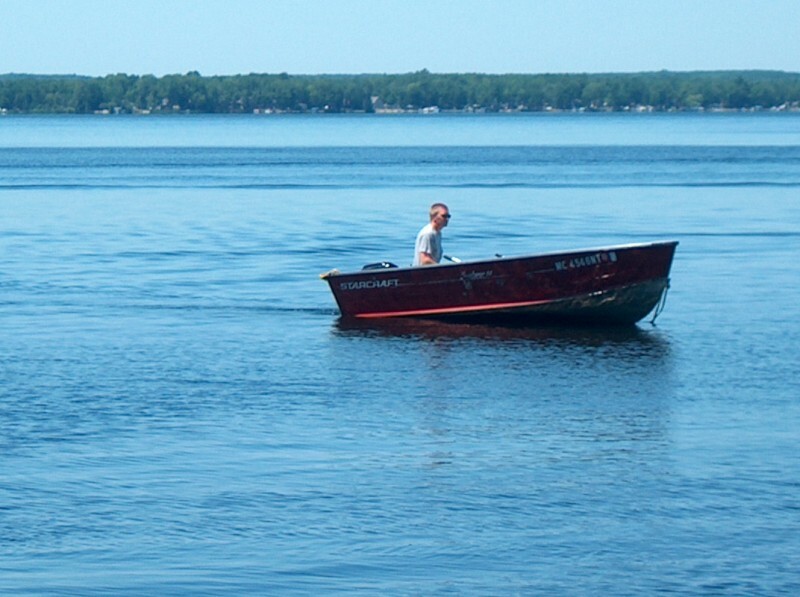 Add to your stay with us by renting one of our available boats. We supply oars, life jackets, cushions, anchors and the first full tank of gas. We even have dock space available if you have your own watercraft.